Your fencing is an investment in your home, your family’s safety, and protection against any potential intruders. However, if your wood fence is not properly maintained or potentially infested with termites, you are not protected. Termites can move quickly from rotten tree stumps or old wood left outside to your wooden fence. Protect your fence and home by checking for termites around your wooden fence throughout the year. The most obvious way to look for termites is, well, to look for termites. Check around your fence for any flying insects or small insects shedding wings. Termites are incredibly small, so they can be hard to spot. Another way to check for termites in your fencing is by checking for damage. Look for any cracks or visible holes that weren’t there at your last fence inspection. 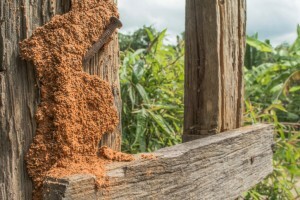 If you think that termites may be living inside a certain area, cut a small piece of wood from the section and look to see if there are signs of termites. Subterranean termites eat soft wood along the grain, causing a honeycomb pattern to appear on the wood. Drywood termites chew against the wood grain and chew in large sections. Just like with most things, the best time to stop termites is before they start. 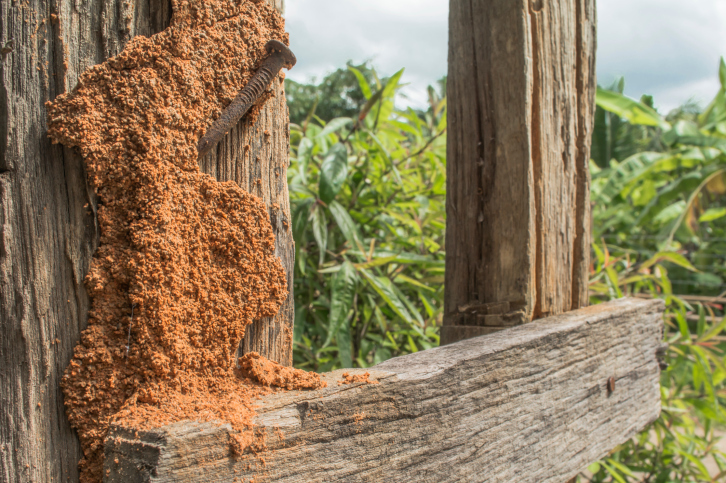 Take a proactive effort to stop termites before they chow down and save yourself a new fence. Inspect your fence regularly for any sudden holes or cracks that don’t make sense. Hire a professional before moving in and if you are concerned about an infestation. They will be able to assess your home for termite activity and offer special advice. Remove any sources of moisture from the area surrounding your fence. Any leaks or broken pipes around your home can quickly become breeding grounds for termites. Don’t mulch your wooden fence! Mulch provides a delicious meal for termites, who will hop right over to your fence for dessert. Remove any thick shrubs or bushes close to your home or fence. These dramatically increase the moisture levels, which attract termites to stay a while. Hercules Fence Northern Virginia has been providing homeowners with quality fences for over 50 years. We are well equipped to meet your needs, whether they are residential or commercial. Contact us to see how a chain link fence can protect your property by giving us a call at 703-551-2609 or visiting us online. To see examples of our work, follow us on Facebook, Twitter, Google+, LinkedIn, Pinterest, and Flickr. This entry was posted on Friday, July 8th, 2016 at 8:07 pm. Both comments and pings are currently closed.